UTactic Thermic is a warm and light reglan manufactured of the original Polartec®PowerStretch® that ensures winterization and perfectly drains moisture evaporated from body. Perfect as a second layer and for individual wearing. Tactical apparel from UTactic complies with quality and practical requirements of our customers - representatives of special forces units and security agencies, hunters, tourists, and supporters of extreme sports. Our apparel passes compulsory testing in real environment, thereby it completely meets professional expectations. 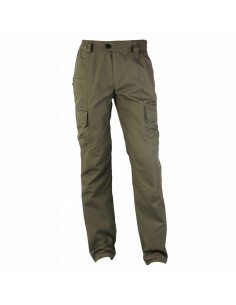 The UTactic tactical apparel range includes outdoor suits, tactical pants for men and women, fleece reglans. The model design is targeted at professional use, everyday use in urban environment, training at shooting gallery and firing ground, camping trips, hunting and fishing. We are constantly looking for the most innovative materials and effective solutions for design of professional gear and apparel. Many elements of our apparel that have been tested in combat conditions will help you to cope with any situation, especially when cost of error is extremely high. UTactic tactical apparel provides maximal number of pockets of various size and purpose (cargo pockets, slash pockets, pockets for documents, weapon, communication tools etc.). A part of our tactical apparel supposes concealed carry by design. We welcome you to visit UTactic tactical apparel store in Kyiv. Residents of other cities can order tactical gear and apparel at our web site. We are also looking to cooperate with bulk customers. If you have any questions or suggestions regarding our tactical gear and apparel, feel free to use our feedback form.